Staff Recommendation: No run of the mill crime novel but a nuanced and credible insight into the complex hierarchies within London’s police force. The location of the book is a rundown London suburb and you get a real sense of the multicultural melting pot that forms the neighbourhood. There is a clash between the established communities and the newcomers who have a folorn hope in a promised British justice system. 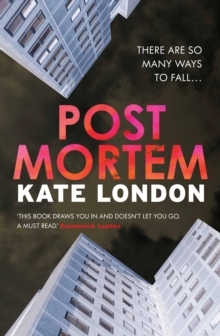 Kate London spent time working in the Met and it shines through in this strong debut.